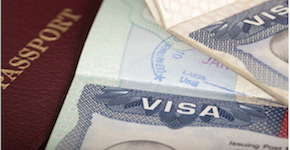 Q: What is an H1B Visa and How Can I be Eligible to Obtain One? A: An H1b visa is a non-immigrant visa, which is used by individuals who are temporarily employed in a specialty occupation here in the United States. What are the key Requirements an individual must fulfill in order to apply for an H1B visa? Your job must qualify as a specialty occupation by meeting one of the following criteria. Your job must be in a specialty occupation relate to your field of study. The H-1b visa has an annual numerical limit or cap, of 65,000 visas each fiscal year. The first 20,000 petitions field on behalf of beneficiaries with a U.S. Master’s degree or higher are exempt from the cap. Additionally, H-1 B workers who are petitioned for or employed at an institution of higher education(or its affiliated or related nonprofit entities), a nonprofit research organization or a government research organization are not subject to this numerical cap. Cap numbers are often used up very quickly, so it is important to plan in advance if you will be filing for an H-1B visa that is subject to the annual H-1B numerical cap. The United States government’s fiscal year starts on Oct. 1. H-1B petitions can be filed up to 6 months before the start date, which is generally April 1 for an October 1 start date. Must attest several items, including, but not limited to – the payment of a prevailing wages for the position. –working conditions offered, -etc. The employer then must file the certified LCA and H1B petition. If the petition is approved the alien may then apply for the H1B visa. An individual can be in H1B status for a maximum period of 6 years. After that time the individual must remain outside of the United States for 1 year before and H1B petition can be approved. Certain individuals may obtain an H1B extension beyond the 6 year period.